East Coast Chair & Barstool, Inc., the national e-commerce restaurant furniture retailer, announces the addition of a new product line as they launch restaurant booth production at their headquarters in Grove City, Pa. 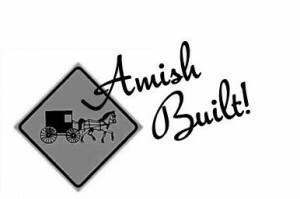 The company has hired on authentic Amish craftsmen to join their staff and hand-craft the restaurant booths, which will both be available in-stock and as custom made-to-order purchases for their customers, who are mostly independent bar and restaurant owners. This new line of restaurant booths complements the company’s existing lines of restaurant and resort furniture. Currently, the quick ship models are shipping in just 1-2 days. Featuring a commercial grade, 22-ounce vinyl, the booths are designed with strength in mind and come with a 10-year structural warranty plus 1-year upholstery warranty. Built with a solid wood construction, heavy duty springs, and welt seams, the booths have foam cushioning which is approved by California Fire Code 117. Restaurant booths are currently selling for as low as $175 for singles and $275 for doubles. East Coast Chair & Barstool recently added booth seating to their three branded e-commerce Web sites and their eBay store.